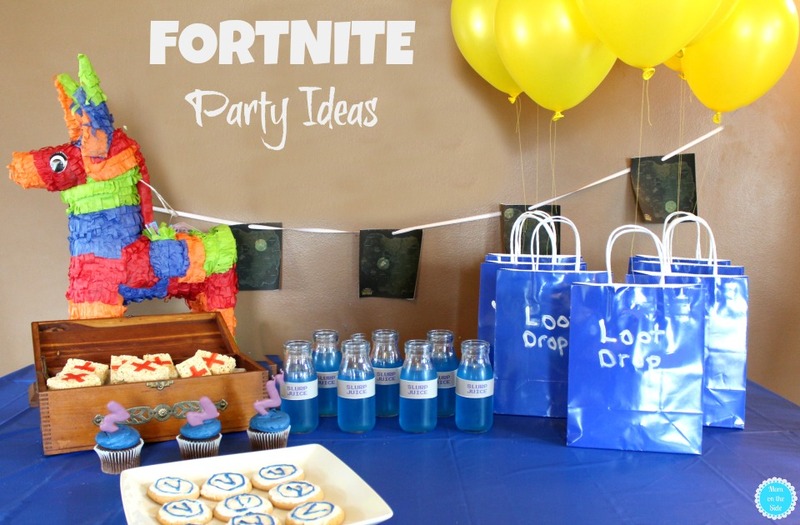 If you’re looking for epic Fortnite Party Ideas including Fortnite party supplies and decorations, as well Fortnite party games I’ve got some for you after hosting a Fortnite Birthday party for my son back in March! My 12-year-old son is like many other teens and even adults right now – fighting to the finish in FORTNITE Battle Royale. I’m not a big video gamer but I gotta be honest, even I enjoy watching him play. He and his 16-year-old sister are hanging out several nights a week playing and even the twins want in on the action. You can see why I planned a FORTNITE themed birthday party over the weekend! I served regular pasta, cake, and ice cream at the FORTNITE birthday party but everything else was FORTNITE themed. I think I did a pretty good job considering there are no FORTNITE party supplies in stores. A little Google searching on Gamepedia (I didn’t even know that was a thing!) 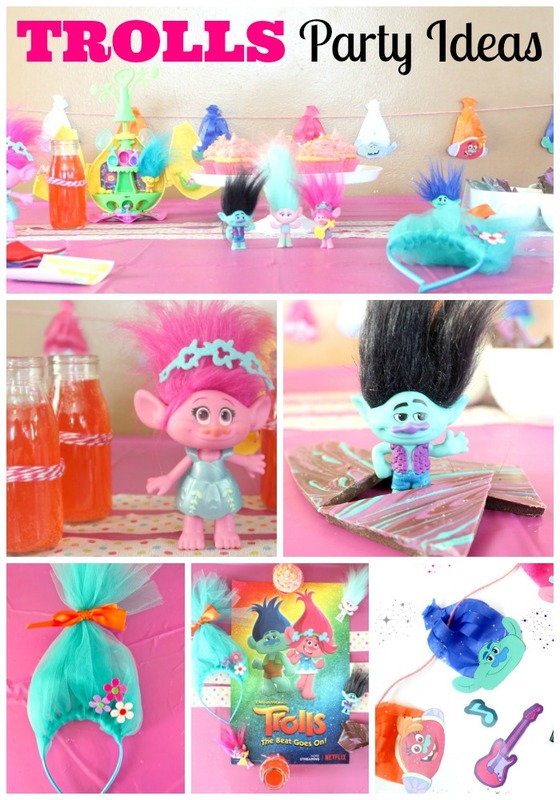 and I came up with some fun FORTNITE party ideas that are super simple to put together. When playing FORTNITE you want to find chests hidden throughout the game. They contain things like guns, ammo, and medical items. 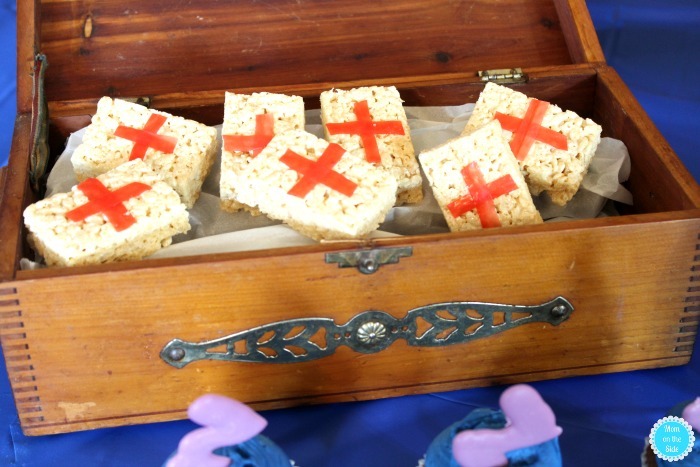 My mom had an old wooden chest lying around at home so I borrowed it and filled with Rice Krispies Medic Bandages! Cut up Fruit Roll-Ups worked great for putting a red cross on each of the Rice Krispies treats. Oh, and if you are wondering about those cupcakes with purple chocolate on top that was me trying to recreate Shards but I sort of failed at that, lol! I used purple melting chocolate and drizzled onto wax paper in the shape of lightning. Slurp Juice is one way to heal yourself in FORTNITE. My son is always talking about Slurp Juice and Chug Jugs so I knew one of them had to be part of the FORTNITE party. 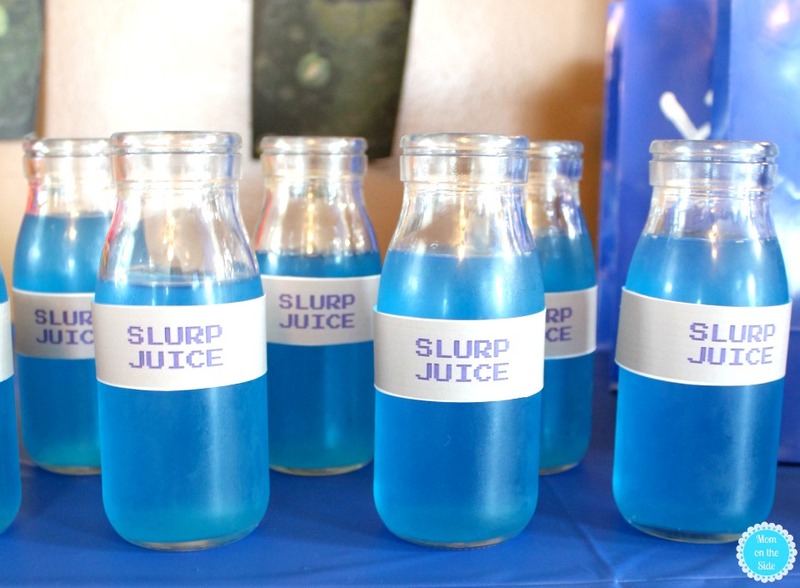 Blue Gatorade in glass milk bottles with a printable label made for some great Slurp Juice! Throughout the game, there are Supply Drops that often have better loot than the chests I mentioned. 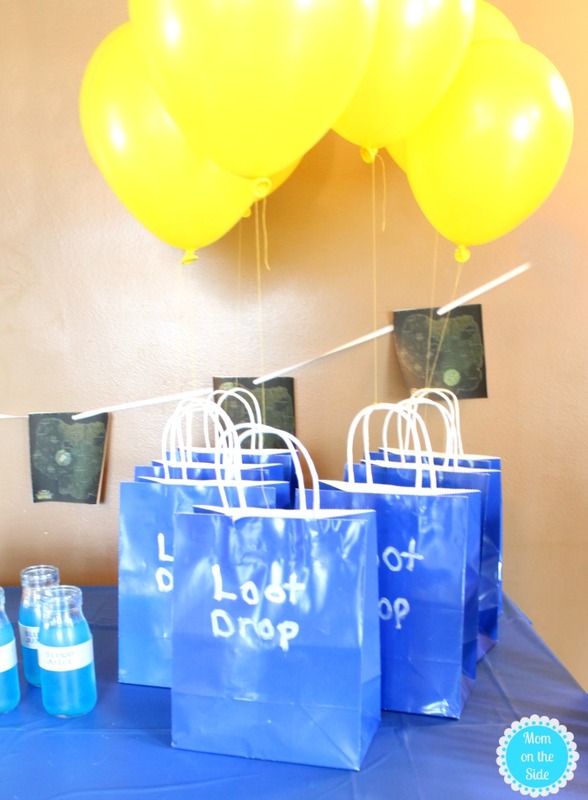 Loot Drop Goody Bags filled with blue colored candy were a favorite of the kids. I tied on a yellow balloon with helium and I wanted my husband to climb on the roof and drop them down to the kids while they played NERF guns, but ended up raining the day of the party so all the fun was indoors. Another FORTNITE party ideas is to print off FORTNITE Battle Royale Maps and hanging them on the wall as a banner. My son quickly pointed out which maps I should have printed because apparent Twisted Towers was a must and I forgot it. The Loot Drop Goody Bags also worked great for collecting candy from the Llama Pinata. It might be a donkey – my husband and me argued about that. 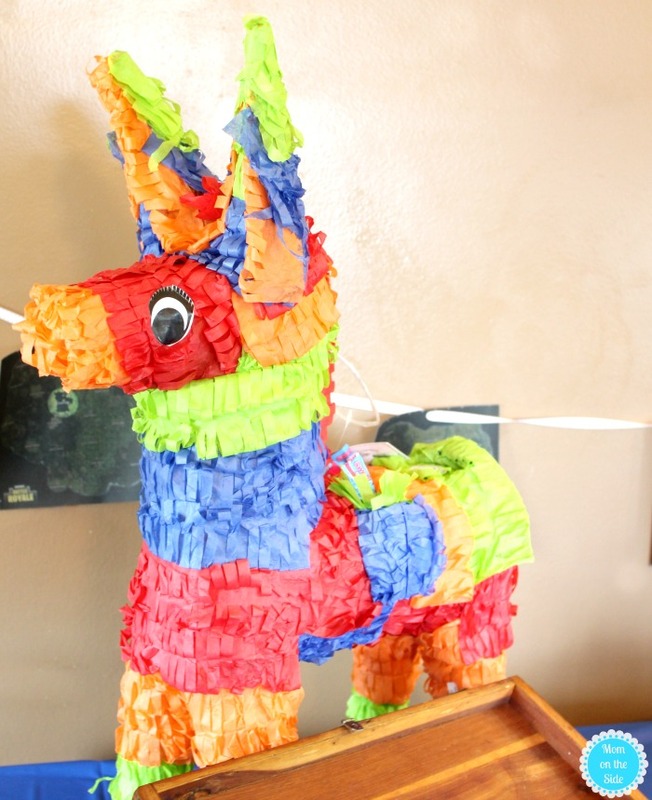 There are Llama Pinatas in FORTNITE that are filled with rewards so of course, we had to have one at the party! If you plan a FORTNITE party come back and show me what you created! 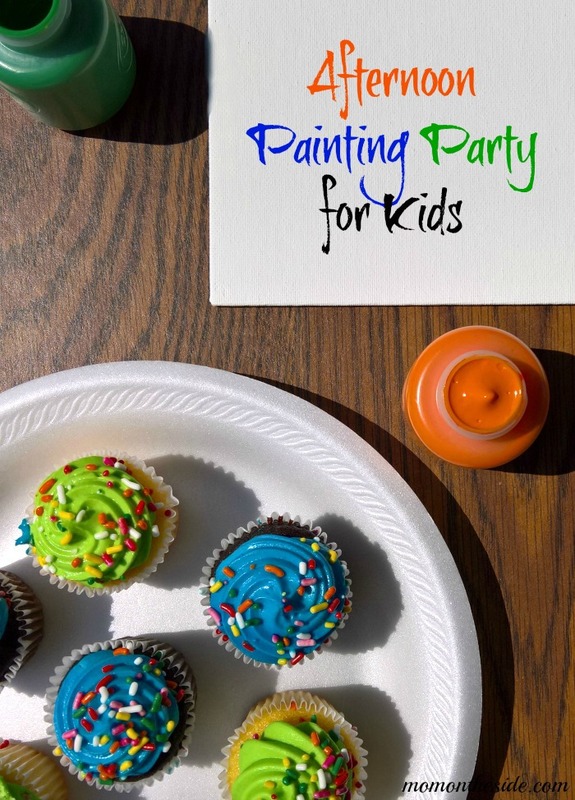 Save these FORTNITE Party Ideas for later! You are welcome and I hope the party turned out great!! Thank you for this! We decided *tonight” that my son’s birthday party (which is this weekend…EEK) is going to have a Fortnite theme. This helps so much!! You are welcome and I hope you were able to throw something together in time! Thank you so much! My daughter is turning 10 in July and wants a Fortnite party. You are welcome – have fun in July!! These were so helpful!! Did a few for my son’s party last week. In addition we served tacos(apparently there’s a taco shop in the game).. and I blew up about 50 balloons and did a yellow balloon drop(bought kit at party city) Inside some of the balloons was prizes like money.. and there was candy that rained down with it too..
Forgot to say we also had a ton of water balloons and water guns.. was perfect for a 10 yr old party! Those are awesome ideas!! Loving the balloon drop idea! I recently saw an idea with “pallet” walls and the kids ran around with NERF guns. What did you use to make the storm cupcakes? Chocolate cupcakes with blue frosting and for the lightening bolt I used purple Wilton melting chocolate and put it in a baggy and squeezed the chocolate out into the shape on parchament paper. I let it harden in the fridge for about 20 minutes. Using the baggy was a bit messy because the chocolate was warm but doing it with a spoon wasn’t giving me the shape I wanted. 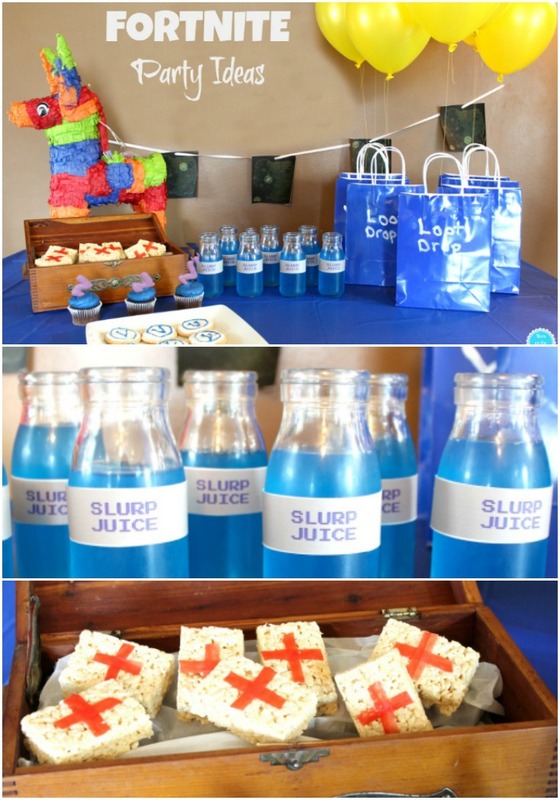 Wow, those are some great homemade ideas for a Fortnite birthday party! I guess I’ll have to pay more attention to the game while my son is playing it to get more ideas, but the cookies, slurp juice and rice krispie treats are top-notch ideas! I’m going to check out the rest of your blog right now, thank you!!! I’m glad you enjoyed them! The game launched new things today so I’m sure there are even more ideas to add – I’ll have to get planning a Fortnite 2.0 party lol! Hi- these are great ideas. 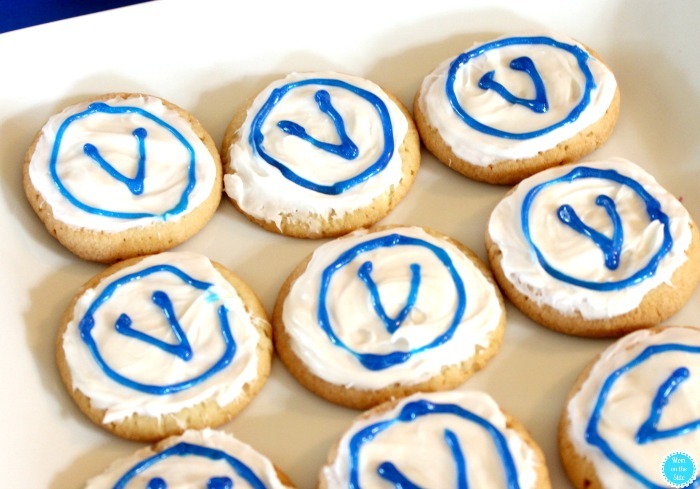 My son is turning 10 and thinking of doing this for his party. How did you set up all the kids to play at your house? Hi Terri! We only had 6 kids had the party and they played Nerf guns out in the yard for a while and then took turns playing Fortnite on Xbox One after eating. If you can find free or cheap pallets they are great to set up for hiding places around the yard – you could get crafty and paint them camouflage or leave them as is.